This document sets out the conditions applicable when Llangynwyd Village Hall is hired. 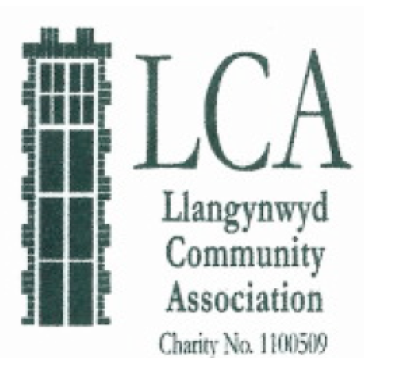 Llangynwyd Village Hall is owned and operated by Llangynwyd Community Association CIO hereafter referred as “LCA”. The Hirer undertakes to ensure he/she has an understanding of the Conditions of Hire. The Hirer undertakes to be present, or arrange for sufficient competent representatives to be present, throughout the hiring, to ensure the provisions and stipulations contained, or referred to, in the Conditions of Hire and any applicable licences are complied with. ensuring that all equipment, chairs and tables have been returned to storage positions tidily, the premises are cleared of people by 1 am and all lights switched off. the behaviour of all persons using the premises, whatever their capacity, including proper supervision of car parking arrangements, so as to avoid obstruction of the road outside the Hall. ensuring that any food prepared, taken into, or served on the premises has been properly prepared, stored and is served in compliance with guidelines set by Food Hygiene regulations and that you are solely responsible for the food that you serve. ensuring that no animals (including birds), except guide dogs, are brought into the building, without written permission of the LCA. ensuring that no LPG appliances or highly flammable substances are brought onto the premise. 4. LCA does not have a Premises Licence for the Llangynwyd Village Hall and so if you wish to hold an event involving children’s entertainers, provision of facilities for making music, dancing, entertainment, late night refreshment and supply of alcohol for consumption then you must contact Bridgend County Borough Council to establish whether a Temporary Event Notice will need to be submitted. the Hall is vacated quietly no later than 1 am, with no loitering outside the Hall and no sounding of car horns. The Hirer shall ensure that any activities for children under eight years of age comply with the provisions of The Children Act of 1989 and that only fit and proper persons have access to the children. For those working with children, the Booking Secretary requires a copy of your child protection clearance for your particular activity. The Hirer shall ensure that the users do not contravene the law relating to gaming, betting and lotteries. iii. all claims in respect of damages, including damage for loss of property or injury to persons, arising as a result of the use of the premises by the Hirer. As directed by the Trustess of the LCA, the Hirer shall make good or pay for all damage (including accidental damage) to the premises or to the fixtures, fittings or contents and for loss of contents. LCA has insured against any claims arising out of its own negligence and public liability. The Hirer is responsible for ensuring that suitable and adequate insurance is in place to cover the Hirer's activities. The Hirer must report all accidents involving injury to the public to a member of the Hall Management Committee as soon as possible, and complete the relevant section of the Accident Book (kept in first aid box in kitchen). Any failure of equipment, either that belonging to the Hall, or brought in by the Hirer, must also be reported as soon as possible by telephoning 07936524553. During your hire, if you experience problems of antisocial behaviour, criminality etc, phone South Wales Police on 101 for non-emergencies and 999 if you feel threatened. No alterations or additions may be made to the premises or may any fixtures be installed (or placards, decorations or other articles be attached in any way to any part of the premises without the prior written approval of LCA. Any alteration, fixture or fitting, or attachment, so approved shall, at the discretion of the LCA remain in the premises at the end of the hiring and become the property of LCA or be removed by the Hirer. The Hirer must make good to the satisfaction of LCA any damage caused to the premises by such removal. LCA reserves the right to retain a percentage of the charge if the Hirer cancels the booking and the LCA is unable to re-hire the hall. 50% of the hire charge may be retained if the cancellation is made within 72 hours of the booked date and 100% of the hire charge fee may be retained by the LCA if the Hirer cancels within 24 hours of the event. Deposit cheques will not be retained and will be returned or destroyed in accordance with the Hirer's preference. In any such case the Hirer shall be entitled to a refund of any deposit or hire fees already paid, but the LCA shall not be liable for any resulting direct or indirect loss or damages whatsoever. 15. Two responsible adults must be named on the Hiring Agreement and they must ensure that all conditions of hire are complied with and all requirements of the Premises Licence or Temporary Event Notice (if applicable) are met. They must also ensure that access to the main door is controlled throughout their period of hire and doors remain closed throughout the period of hire, except for access and egress. They must also ensure that doors AND windows remain closed whilst live bands are performing. Current hire charges are published on the LCA website (www.llanvillagehall.org/book-the-hall). A deposit cheque of £150 is required, in addition to the agreed hire fee, and must be received at least seven days before the hire period begins. The deposit cheque will be destroyed or returned (if requested) when the premises are found to be satisfactory and if there has been no breach of the Conditions of Hire. In the event of the Hirer breaching the Conditions of Hire the £150 deposit cheque may be forfeit. A Caretaker or Committee Member will open the hall 10 minutes before the arranged hire time and will return to lock up at the end of the agreed period of hire. BUT NOT THE USE OF THE COFFEE MACHINE.